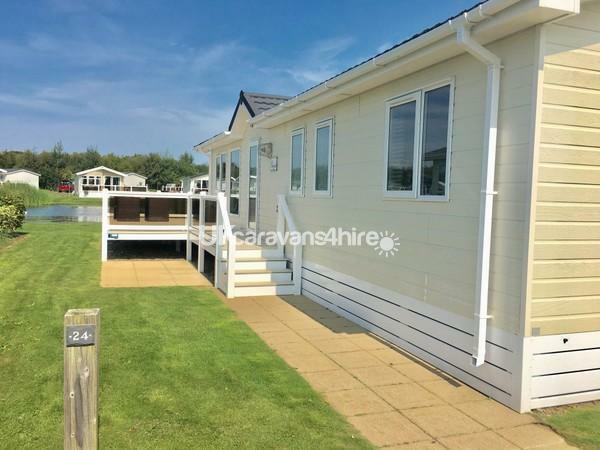 Additional Info: A stunning, lakeside lodge situated in the exclusive Golf Village area of Haven's award winning Hopton Holiday Village. 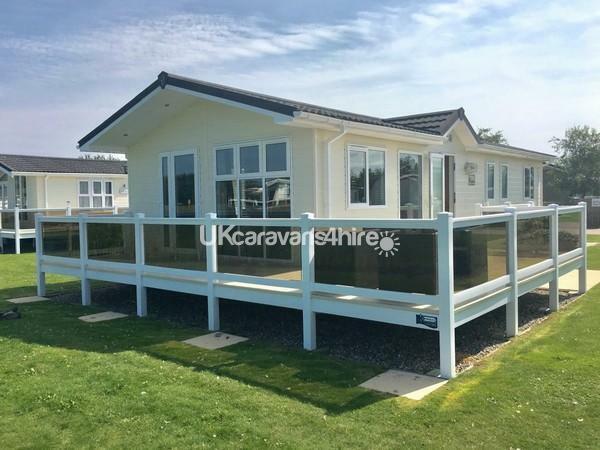 St Andrews 24 is a privately owned six berth holiday home and is ideal for families. Dogs are welcome too! 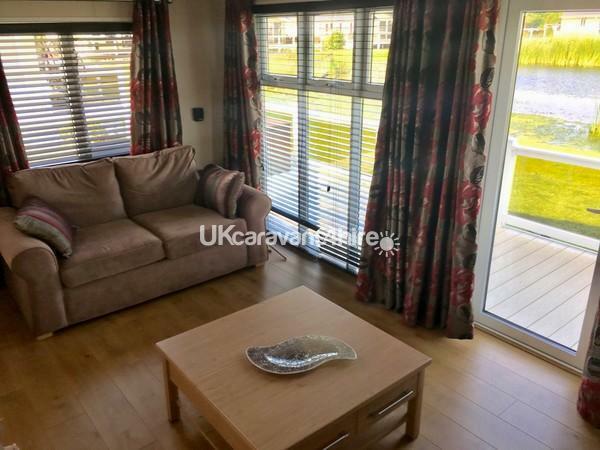 Offering a modern, open plan design with co-ordinating upholstery, tastefully furnished throughout and equipped to a high standard including a range of extras such as dishwasher and washing machine. We ask for a deposit of £100 to secure your dates. This is should reach us within 48 hours of your initial booking - please note that we are unable to hold dates for any longer than 48 hours and if payment is not received the dates will be released. Dates are unable to be confirmed until payment has been received. We shall notify you in writing once your booking has been confirmed. Payment can be made by bank transfer, cheque or card (please note that there will be an additional surcharge of 2.36% for debit and credit cards). The full balance of your holiday becomes due 8 weeks before the start date and once this is paid your initial deposit becomes your security deposit (see below for more details). Once the full balance has been paid we shall send you arrival details for your holiday. Please see our terms and conditions for full details of our cancellation terms. For more details, live availability and prices please visit our website www.watersretreatsathopton.com. 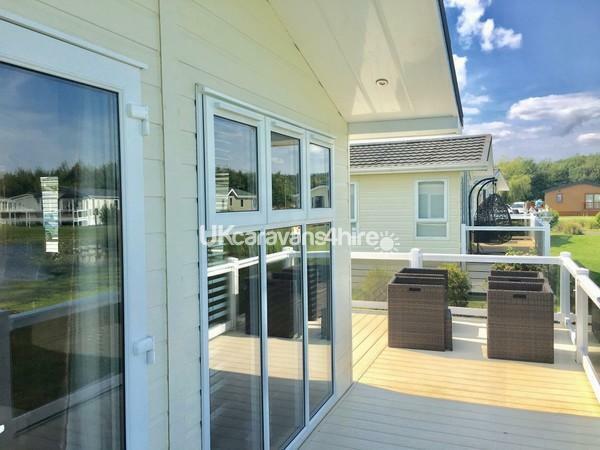 A stunning, lakeside lodge situated in the exclusive Golf Village area of Haven's award winning Hopton Holiday Village. 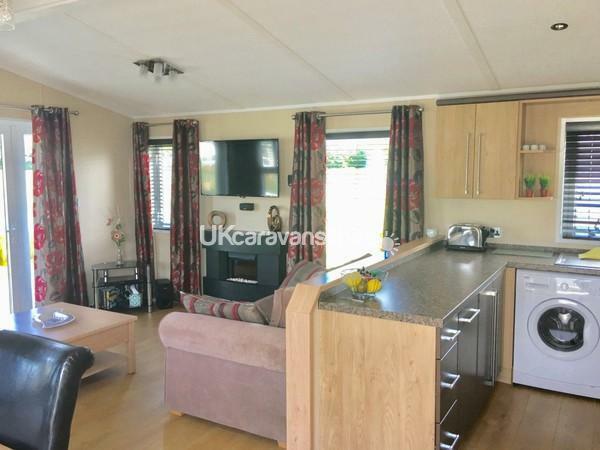 St Andrews 24 is a privately owned six berth holiday home and is ideal for families. Dogs are welcome too! 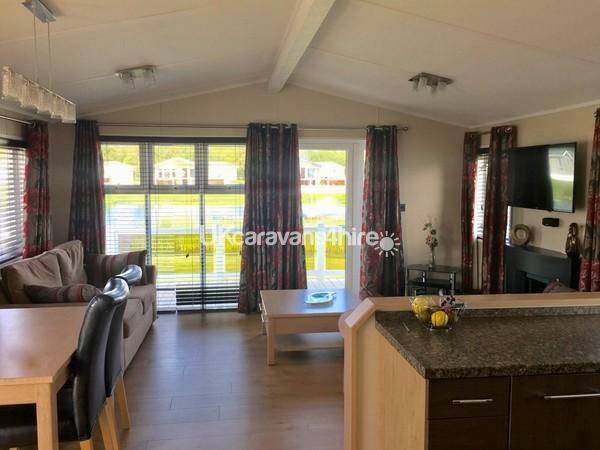 Offering a modern, open plan design with co-ordinating upholstery, tastefully furnished throughout and equipped to a high standard including a range of extras such as dishwasher and washing machine. Spacious sitting room with views over the lake. 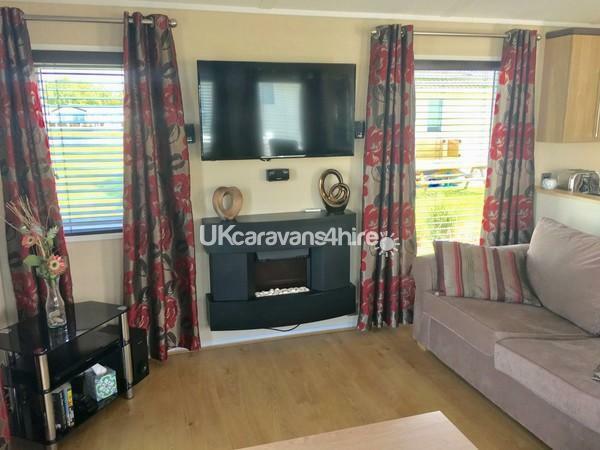 Wall mounted flat screen TV with DVD, sound system and free standing sofas. French doors leading out onto the wrap around decking with garden furniture. Dining area with table and chairs. 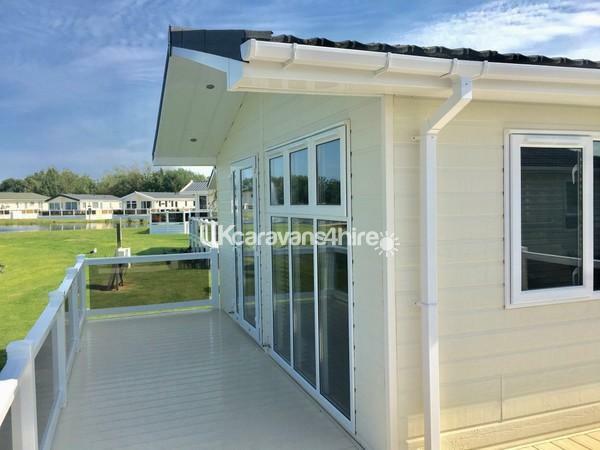 Central heating and double glazing throughout ensuring that this is the ideal accommodation for all year round stays. Extremely well equipped kitchen with integrated microwave, toaster, oven, intregrated washing machine, dishwasher and fridge freezer. Master double bedroom with dressing table, wardrobes and ensuite facilities. 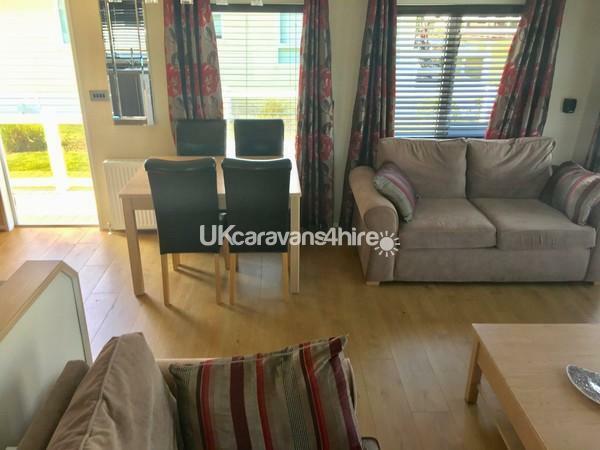 Two further twin bedrooms both with good storage. Wall mounted TVs to all bedrooms. Bedding is provided but please bring your own towels. 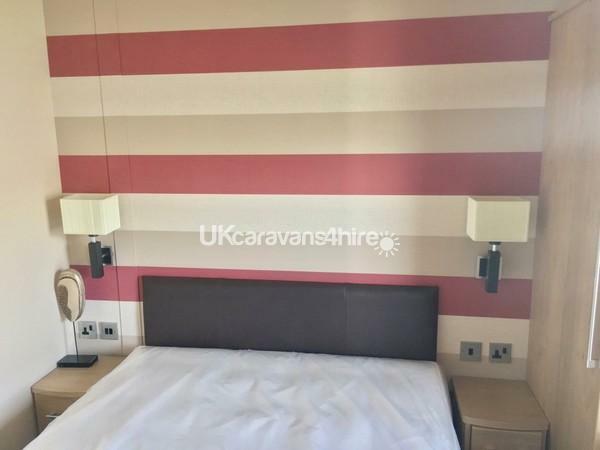 The owners also provide complimentary toiletries, hairdryer, board games, childrens toys, books and DVDs as well as a welcome pack for your arrival. Situated in the exclusive Golf Village, overlooking the lake which features a fountain. Just a ten minute walk from the main entertainment complex, onsite shop and beach. Private driveway with parking for two cars. Garden area with patio and a gated wrap around decking - ideal for children and dogs. 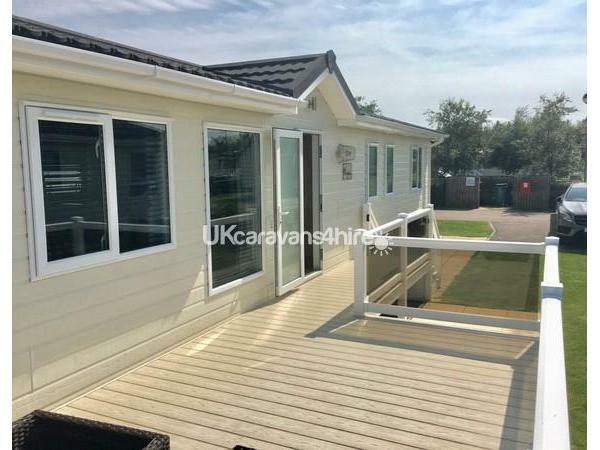 Haven Holiday Village is an extremely well presented and beautifully landscaped park with a huge range of activities but is also ideally placed for visits to the surrounding area including the seaside town of Great Yarmouth (which is only a ten minute drive away), the Norfolk and Suffolk Broads where you can take a boat trip and experience the magical waterway or the cathedral city of Norwich. Monday and Friday Arrival Days. 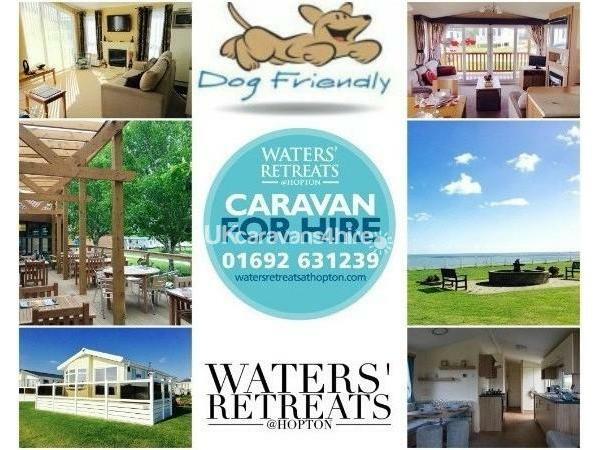 For more details, pictures, prices, live availability and online booking visit our website www.watersretreatsathopton.com. Additional Info: Ideally located to stay and play (or relax) or as a base to explore the local area. Stay onsite and use the leisure facilities (entertainment pass required at additional charge) including indoor and outdoor swimming pools, baby pool, jacuzzi and water slide. Enjoy a game of golf on our very own 9 hole course, or take part in one of the fun activities such as fencing, archery or mini football. There's even a tennis court, bowls green and crazy golf course.Grab a bite to eat in the onsite restaurant or order a takeaway (some will even deliver direct to your holiday home). There really is something for everyone and when the sun goes down the evening entertainment starts with live shows including appearances from our very own Bradley Bear and his friends, cash bingo and some great bands in the Showbar.Recently awarded 5 stars, Haven Hopton Holiday Village offers around the clock fun for all the family and we warmly welcome big and little kids! Alternatively, if it's peace and quiet you are looking for we have a range of holiday homes just perfect to stay and away from it all.